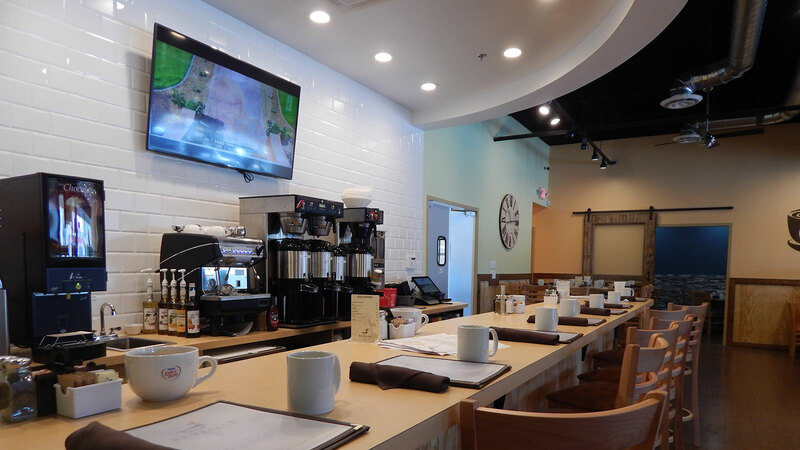 Building out commercial spaces for your daily breakfast and lunch setting can seem conventional, but The Reveille Café – with locations in Marietta, Acworth and Haynes Bridge- expanded their operations to Sugar Hill and Cook General was excited to be a part of this project. 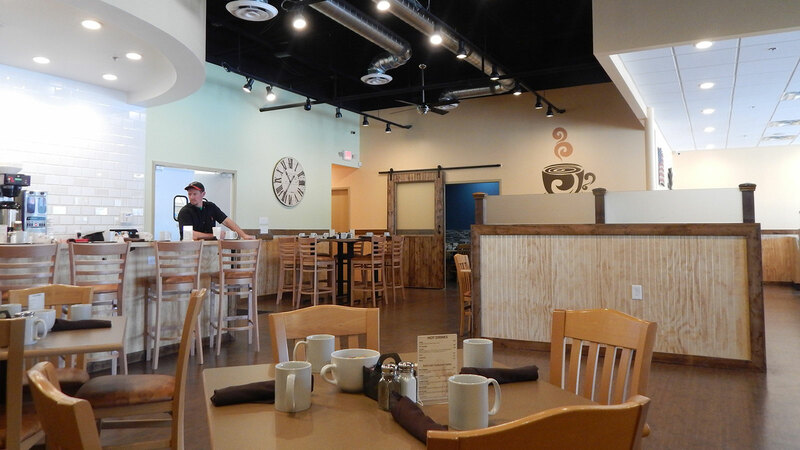 Reveille and their owner — Jay McCann is known for their breakfast and they don’t take the concept lightly. Reveille has recreated the traditional breakfast and combined it with today’s favorites and some healthier options. 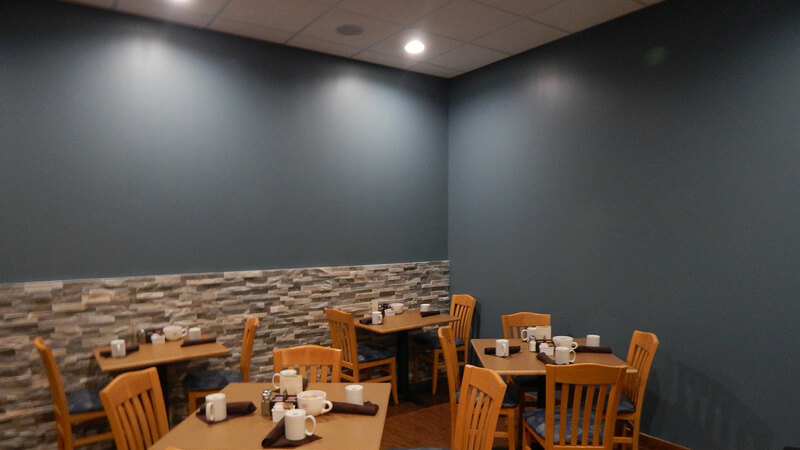 Menu items include eggs Benedict, strawberry waffles, bacon & eggs or a bowl of oatmeal with a side of fresh fruit. Currently they are bringing back the tradition of slowing down and savoring breakfast to Sugar Hill. 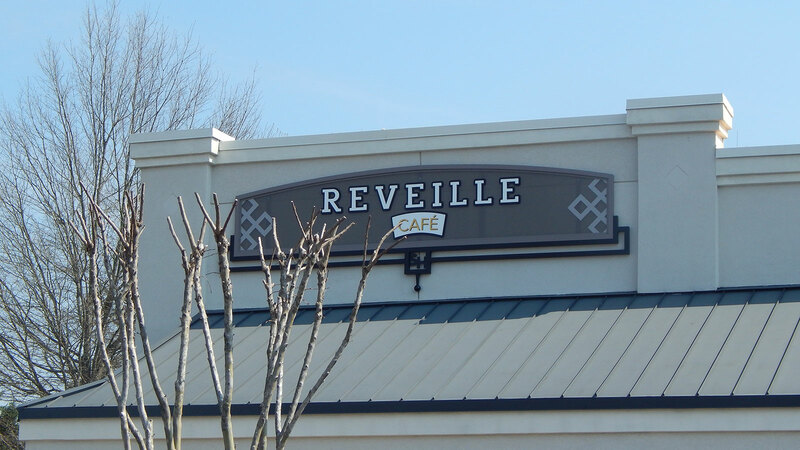 Coffee is not an afterthought at Reveille and neither is the long bar with seating offering the familiar diner style seating to enjoy a delicious meal. Greens, yellows and blues are present throughout the color palette for this restaurant to convey the feeling that any day can be won with a good start!